These buzz-worthy spots are making waves with new openings, expansions, menu additions and consistent crowds. 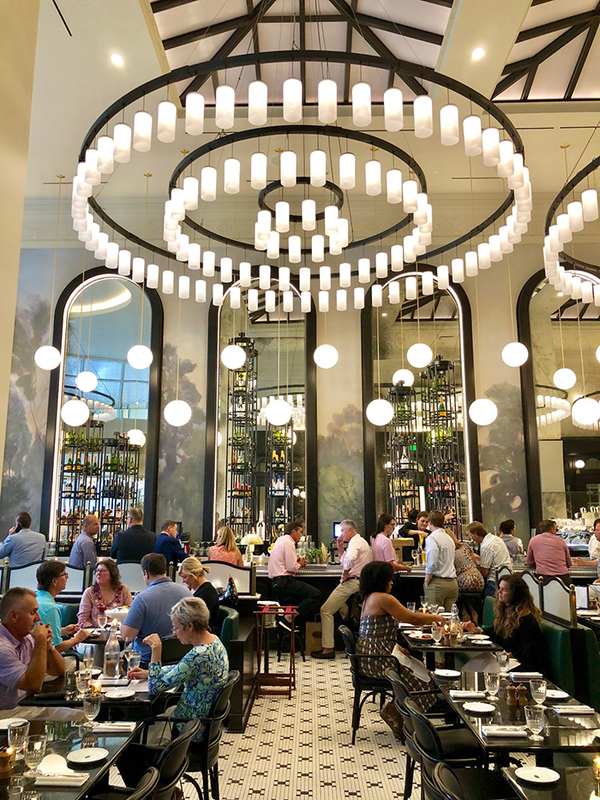 The upscale French brasserie raised the bar for Uptown restaurant design when it opened last summer. The jaw-dropping project from Carrie Frye Interior Design features soaring ceilings, elaborate light fixtures, classic black and white tiling and a mix of pewter, antique wood and leather detailing. There’s nothing else like it in town which is why it’s our #1 most beautiful restaurant in Charlotte. LBH isn’t just a pretty face. The restaurant delivers on classic French cuisine with everything from escargots and foie gras to coq au vin (a traditional French stew), boeuf bourguignon (the Wednesday night special) and its signature rotisserie chicken. Must try: The steak tartare is all over Instagram but the tuna tartare ($16) with sweet corn, confit lemon and a few pieces of popcorn on top is a Team Agenda favorite.